Tapered greenish blue glass vessel with a small rounded bottom and horizontal rings on the body. Size 7-5/8 inches (19.3cm) H. Intact with nice irridescence. Provenance: Ex AA Collection, Munich, acquired between 1992 and 1996. 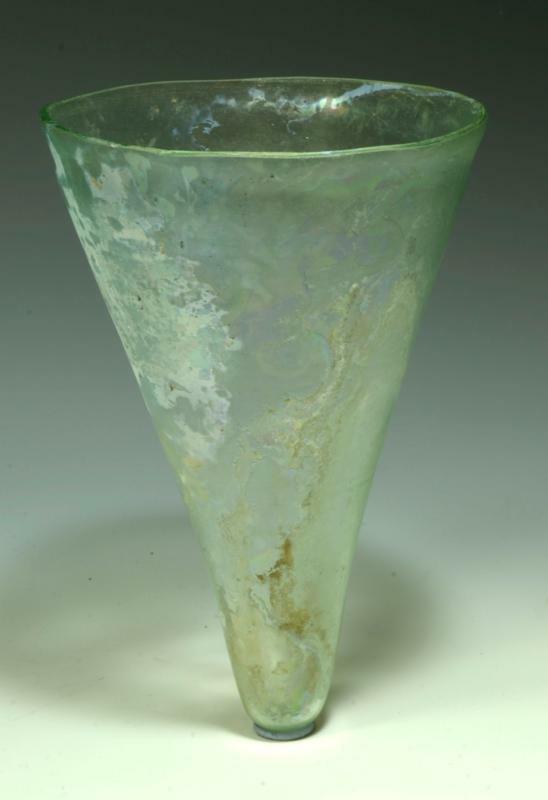 See D. Whitehouse, Roman Glass in the Corning Museum of Glass I (1997) p. 250, no. 427.